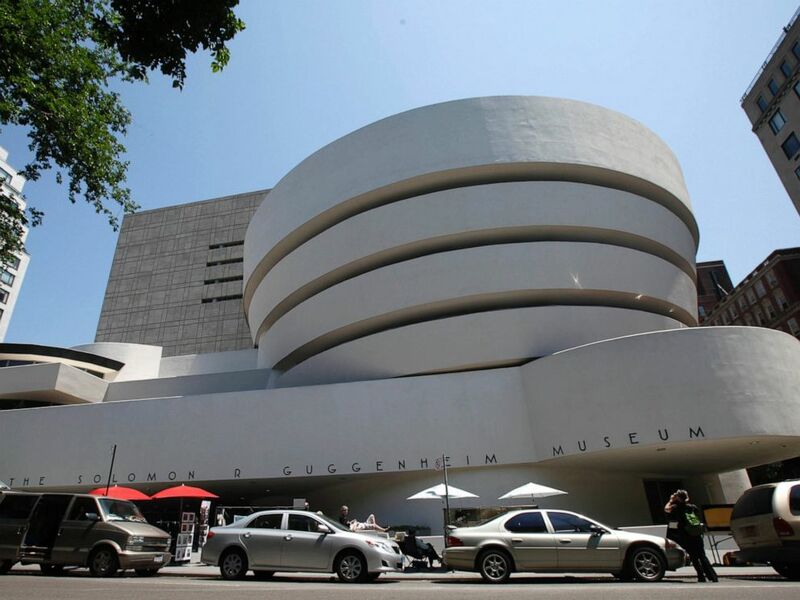 Despite having their name on the museum's education center, the Guggenheim said it will no longer be accepting gifts from the Sackler family, according to a statement given to ABC News on Saturday. The Sacklers own Purdue Pharma, the makers of the powerful and addictive painkiller OxyContin. "The Solomon R. Guggenheim Museum received a total of $7 million in gifts from members of the Mortimer D. Sackler family initiated in 1995 and paid out through 2006 to establish and support the Sackler Center for Arts Education, which serves approximately 300,000 youth, adults, and families each year," the museum said in a statement. This May 31, 2011 file photo shows the exterior of Frank Lloyd Wright's Solomon R. Guggenheim Museum in New York. Much of the attention given to the Sackler family's donations to museums has come from P.A.I.N. Sackler, an activist group dedicated to addressing the national opioid crisis and opposing the Sackler family specifically. The group's mission statement asks that "museums, universities, and educational institutions worldwide remove Sackler signage and publicly refuse future funding from the Sacklers." P.A.I.N. (Prescription Addiction Intervention Now) Sackler held a protest at the Guggenheim last month in which they showered torn-up prescriptions from the museums spiral walkway to the floor below and unfurled banners with their demands to stop funding. The country's opioid epidemic claims the lives of more than 130 people each day, according to the National Institute on Drug Abuse. Of those, about 46 each day are attributed to prescription drug overdoses, including OxyContin, according to the Centers for Disease Control. However, the company is now facing 1,600 lawsuits from people who abused the medication and it is trying to settle some $10 billion in claims, according to The Wall Street Journal. ABC News' Josh Hoyos and Aaron Katersky contributed to this report.